I have managed to go through my life without knowing anything about this book, so I went into it without any preconceptions. Although the prose was very endearing and absorbing I found it very difficult to like any of the characters. This is a short book, but it took me a while to finish because I simply couldn't bring myself to care about Gatsby (even the narrator didn't particularly seem to like him). That being said, the moral of the story is a powerful one, and I was left thinking about the story for a long time after I had finished it. There are strong themes of: the selfishness of the rich, the repercussions for every action, and 'what goes around, comes around'. The parties, the wealth and the splendour really come to life from the pages, as does the hot, arid, unpleasant climate of the era. Through reading 'The Great Gatsby' I feel I have been given an interesting glimpse into the past, warts and all, and I really enjoyed that aspect of this story. This is not a book that should be read just because it is a classic, because it will probably leave you disappointed. I would recommend this book to you if you are after something short to read that gives you a glimpse into history. The Regenesis Cluster is a beautifully woven tale that leaves the reader with feelings of hope and wonder. The imagery is absolutely stunning. 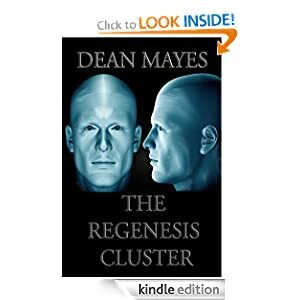 Author Dean Mayes has a wonderful talent for painting a vivid picture, and he has used this skill to great effect in this story. This is a great read for anyone who may not have the time to read a full length novel, but wants a story that will leave them thinking for a long time afterwards. Yesterday was a really big day for me. I finished the first draft of the novel I have been working on for the best part of a year. To be honest, the end of it came as a bit of a surprise. I thought there would be one last chapter, but I realized I could achieve the same results with a handful of sentences. Now the hard part -- the revision process. I have to admit, I am really nervous about this bit. The first draft is supposed to be rubbish. That's why it's called a first draft and not a final draft. But I feel more pressure with the second draft for everything to be perfect. I would love to hear any other advice that you have up your sleeves. I'll add anything else I find to the list as I go along. It has been so long since I have checked in with you all that I thought I would give you an update on the happenings and goings-on in my life. I completed an adult fantasy fiction novel based upon some Welsh mythology. Once I was up to the review stage I couldn't quite consolidate my version of the characters with the characters from the myth. I decided that I needed time away from the novel so that I could come back with fresh eyes. I began working on what I thought would be just a fun, but mostly waste of time, project that would take my mind off my novel for a while. It's a children's fantasy fiction story that I have fallen in love with. It has taken up most of my attention span and I have created a whole new world within my tiny little brain. I have been working like crazy on it, and I really think that this story is a keeper. I'm only around 10,000 words in, but I feel like I have many, many more up my sleeve. In an effort to hone my skills as a writer I have also begun writing short works of fiction by pulling two random word prompts out of a hat each week. I have tried to follow along with other people's word prompts in the past, but never got around to writing anything worth mentioning. Because I am now running the show I feel obligated to write, and I have been meeting my self-imposed deadline with no worries. If you would like to join in, even if it's only once every few weeks, go to my Tumblr asholdfield.tumblr.com to find the word prompts. Don't forget to tweet your stories using the hashtag #AshWriteTime. Read an Ebook Week - I'm giving my ebooks away for free! March 3 - 9 is read an ebook week, and I am excited to be participating this year. 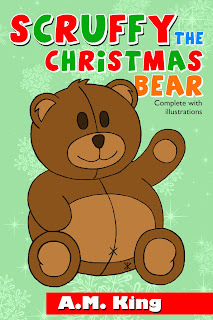 For this week only I will be giving away my two children's ebooks, 'Scruffy the Christmas Bear', and 'Scruffy the Adventurous Bear' for free. Head on over to my Smashwords page and fill in the promotional code 'RW100' in the payment section to get you free copy of my books. Alternatively, click on the book covers below to be taken to their own Smashwords page. Have a trawl through the 'Read an ebook Week Section' of Smashwords whilst you're there to find out what other awesome great reads you can pick up! 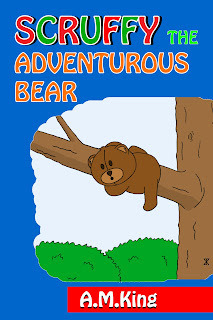 I am very proud to be able to announce the release of my new children's ebook, 'Scruffy the Adventurous Bear', written under my children's author pseudonym, 'A.M. King'. This story continues on from the first book, 'Scruffy the Christmas Bear', following Scruffy and his best friend, Chloe, as they explore the garden whilst becoming even better friends than ever. 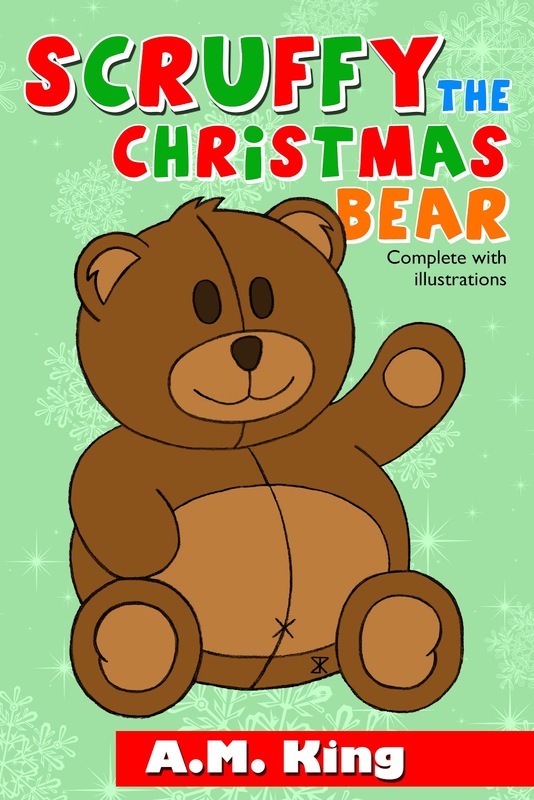 This ebook comes complete with colourful illustrations by the marvelously talented, Benjamin Rawlings, who was also kind enough to illustrate 'Scruffy the Christmas Bear'. I would love for you to read this story, and share it with your children. It is available for purchase for $1.99 from Smashwords. Stay tuned for the book's availability from other ebook retailers.